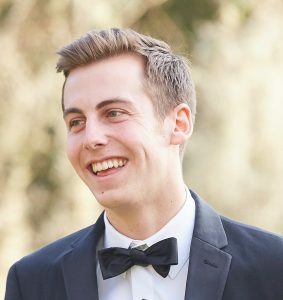 Cameron completed his undergraduate degree at McGill University’s Desautels Faculty of Management studying International Management and Managing for Sustainability. He holds a keen interest in examining the intersections of economics with environmental and social awareness in the business world. Before coming to Osgoode, Cameron worked with the federal government in a position focusing on facilitating trade between Canadian clean technology companies, particularly those in the renewable energy sector, and foreign government investors primarily located in Southeast Asia and Sub-Saharan Africa. Outside of school, he enjoys hiking, skiing, and spending time in cottage country! Before coming to Osgoode Hall Law School Nicole was in PhD program and teaching Latin, but the desire to serve the broader community drove her to law school. 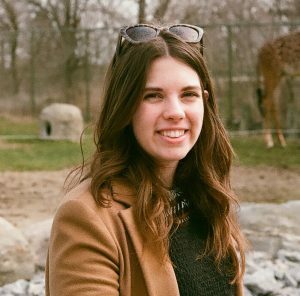 She has always been an avid lover of animals and concerned for environmental issues, and after completing her first year at Osgoode, she is particularly interested in toxic torts and environmental rights as human rights. Nicole is always trying new sports and in her spare time aims to reach personal bests with the barbell or climb a more challenging rock wall. 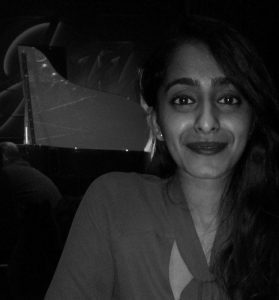 Hina is in her second year of the JD program at Osgoode where she hopes to develop the necessary skills to focus her career on public advocacy and policy reform. She completed her undergraduate degree at the University of Toronto majoring in Ethics and Law, with minors in earth science and bioethics. 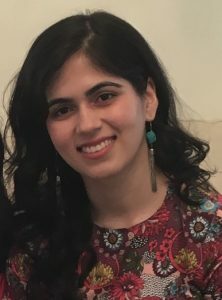 It is Hina’s interest in sustainable development, conservation, and environmental ethics, coupled with a lifelong curiosity about nature and wildlife, that has motivated her to participate in the EJS clinic. Prior to beginning law school, she interned at the Investigations and Enforcement branch of the Ontario Ministry of Environment and Climate Change where she was introduced to the legal, regulatory, and public policy sides of environmentalism. Hina’s pastimes include playing basketball, watching competitive gymnastics, reading science fiction novels, and becoming excessively invested in reality TV shows. As a young child, Aaron had the pleasure of meeting Dr. David Suzuki, which kick-started his interest in sustainability and conservation. During his undergrad at Queen’s, Aaron pursued these interests through his work at Queen’s Environment and Sustainability Commission, where he helped facilitate a campus-wide composting program for students in residence, and by taking courses on environmental public policy. At Osgoode, Aaron developed an interest in litigation through mooting and gained experience working as a research assistant to Mr. Dan Bergeron, Osgoode’s artist in residence. Aaron’s passion for environmental conservation is buoyed by his love of camping and traveling which he developed working at summer camp and living in the Rockies for a year. He also has a love of music which has resulted in an ever-expanding record collection and continuous attempts to learn the guitar. Prior to beginning law school, Christie was the Executive Director of Mondetta Charity Foundation, an NGO that partners with local organizations in East Africa. Christie is also the Founder & Managing Director of Human Rights Hub Winnipeg, a platform to promote events and initiatives taking place in Winnipeg's vibrant human rights sector. Christie became interested in environmental justice while working closely alongside Shoal Lake 40 First Nation, a community that sources Winnipeg's water supply, yet has been under a 20-year boil water advisory itself. This past summer, Christie spent the summer working in the Environment & Human Rights Division of Human Rights Watch. She is very engaged in Osgoode's student community, serving on the Executive teams of Osgoode's Environmental Law Society, the Canadian Lawyers for International Human Rights - Osgoode Chapter and the Osgoode Feminist Collective, and is also co-directing the Mock Trial Band and acting as a Senior Editor for the Osgoode Hall Law Journal. In her spare time, Christie is an aerial hoop enthusiast and avid Winnipeg Jets fan. Adam is in his third year of Osgoode’s Juris Doctor/ Master in Environmental Studies (“JD/MES”) program. After graduating from his undergraduate degree in Urban Studies at the University of Calgary, Adam worked for two and a half years at the Alberta Ministry of Municipal Affairs. His role involved consulting with municipal stakeholders and advising community members on land use planning legislation. 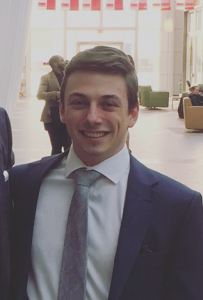 Since entering the JD/MES program, Adam has spent his summers working for the Ontario Ministry of Municipal Affairs as a Land Use Planning Assistant and as a summer student with an Alberta law firm. Adam’s interest in sustainability revolves around the outcomes of municipal and provincial government decision making, with a particular focus on urban planning and the built environment. 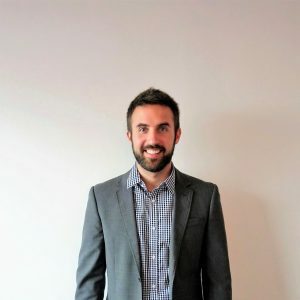 Throughout his time in the program, Adam has acted as the student representative on the Faculty of Environmental Studies Urban Planning Subcommittee and volunteered as an Administrative Law Caseworker with Osgoode’s Community and Legal Aid Services Programme. In his free time, Adam enjoys exploring new cities, playing soccer, and camping. 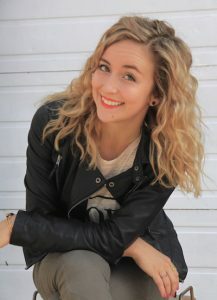 Jacklyn is in her second year at Osgoode, having completed her Honours Bachelor of Environmental Studies at U of T, with a double minor in French and Spanish. She has worked as a student writer and photographer for the newspaper in her hometown of Barrie, and now has the privilege to work as Arts and Culture Editor for Osgoode’s own Obiter Dicta. She has also been involved with Osgoode’s Environmental Law Society. Over the summer, Jacklyn worked at a Simcoe County firm where she was fortunate to gain experience in many different areas of law. While she enjoyed her work with real estate, wills and estates, and corporate/commercial law, she has missed her studies in the environment and is excited to gain experience and knowledge in the field over the course of this year. Outside of school, Jacklyn has a passion for her community, having volunteered at an exotic wildlife sanctuary in the Barrie area and being involved in the local Rotary club. She is looking forward to expanding her involvement to include organizations in the Toronto area and beyond. Amanda is currently in her third year of Osgoode Hall/York University’s Juris Doctor/Master in Environmental Studies (“JD/MES”) program where her research focuses on the intersection of environmental and Indigenous law in Canada. She has a strong interest in exploring the impacts of resource extraction projects on Indigenous communities in Canada, and hopes to use the law as a tool to empower change in this area. At Osgoode Hall, she currently sits on the executive of the Environmental Law Society. 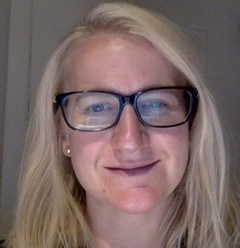 Amanda has also spent time volunteering with Osgoode’s Community and Legal Aid Services Programme as an Administrative Law Caseworker, assisted a Prince Edward County community group with the judicial review of a wind turbine project, provided research assistance related to mining projects in Latin America to the Justice and Corporate Accountability Project, as well as provided research assistance to the Assembly of First Nations. She has also worked as research/graduate assistants to Professors Dayna Nadine Scott and Deborah McGregor. Amanda recently spent her summer working with the Ontario Ministry of the Environment’s Legal Services Branch, where her work focused on provincial regulatory offences and prosecutions. 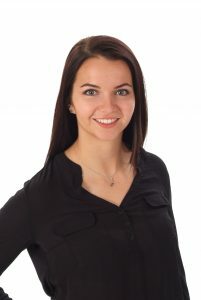 Amanda completed her undergraduate degree at the University of Waterloo, where she majored in Legal Studies and Business, with a minor in French. Her focus on environmental law began at this time, as she quickly realized her passion for the field. In her spare time, Amanda enjoys paddling, camping, hiking and yoga. Before attending law school, Maria did her Bachelor of Arts degree in the Crime, Law and Deviance program at University of Toronto, Mississauga where she was able to study in-depth about socio-legal theories and the Canadian justice system itself. During this time, she had also researched on trial completion at the Scarborough courthouse and presented her findings to the Crown Office. Despite her long-standing interest in in environmental concerns and politics since high school, it was only after her undergraduate studies that Maria realized her desire to become an active agent of change in areas of environmental law and climate change. She has since participated in numerous community initiatives ranging from the City of Mississauga’s own Earth Market to local conservancies’ monthly wilderness lectures and programs. Maria is a budding Toastmaster, enthusiast of astronomy and, not surprisingly, loves wilderness hikes. Helen completed her undergraduate degree at the University of Toronto where she majored in Environmental Studies and Criminology. These studies instilled in her a passion for social and environmental justice, which led her to the joint J.D./Master of Environmental Studies program at Osgoode. 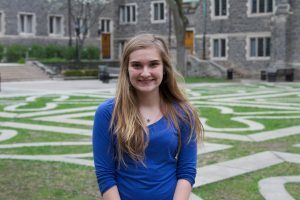 In her first year of law school, she was a representative on the Sustainability Committee and looks forward to continuing her extracurricular involvement on the executive of the Environmental Law Society in the coming year. This summer, Helen worked in Belize with the Maya Leaders Alliance as a legal intern through the International Legal Partnership at Osgoode. She provided support to advocacy activities in Maya communities throughout southern Belize and assisted on cases pertaining to indigenous land rights. She was also involved with their environmental conservation efforts while working on sustainable forest management programs. Helen is an enthusiastic animal lover and is currently on the executive of the Student Animal Legal Defence Fund. She is extremely passionate about the protection of endangered species and habitat conservation. In her spare time, Helen enjoys travelling, biking and long walks with her poodle, Rufus. Amanda’s road to law school has been somewhat long and seemingly nonlinear. She first decided to become a lawyer during a co-op placement in Peru as part of a degree in international development and environmental studies. Inspired by the example of an environmental lawyer working with a community in its struggle against an open-pit gold mine, she recognized that law offered the possibility of using specialized skills, knowledge and access to support less powerful groups and individuals. 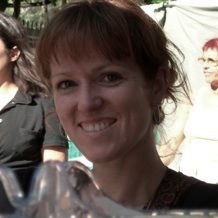 However, rather than go straight to law school, Amanda took a 15-year detour – working on environmental education projects in the shanty-towns of Lima, obtaining a Master of Environmental Studies degree with a focus on food systems, managing food-based community programs at The Stop Community Food Centre, and starting a family. Now in her second year at Osgoode, Amanda is interested in exploring how the law can be harnessed in the fight against climate change, particularly in climate change litigation. In her spare time, Amanda enjoys gardening, running and hanging out with her 7-year old.